He is often called an expert on “customer base development”. He helped Steve Blank with launching of Epiphany in 1996, which was the Steve’s 8th Startup. Bob Dorf and Steve Blank published “The Startup Owner’s Manual: a step-by-step guide to Building a Great Company” in March of 2012, that summarized decades of their entrepreneurial experience and research. 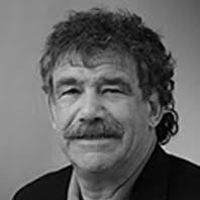 Bob Dorf, working as General Director of the company he founded, initiated special programs aimed to attract big customers like 3M, Bertelsmann, Ford, HP, Jaguar, NCR, Oracle and Schwab that was very successful. He has made numerous presentations for entrepreneurs in the USA and all over the world, he ran hundreds of master-classes and workshops, published dozens of articles, including the serious research for Harvard Business Review.